Warehousing is nothing more than the management of space and time. The space management portion, storage, has a cost per month, because there is a monthly cost for warehouse space. The time management component includes labor involved in handling materials as they move in and out of the warehouse. 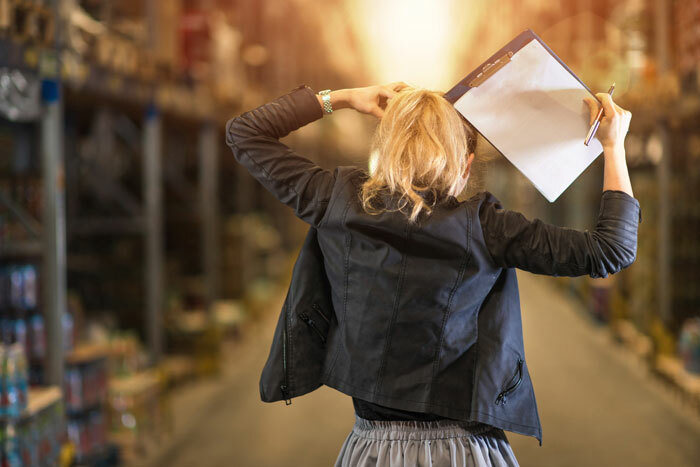 In this post we’ll try and highlight some of the true costs of bad warehouse storage and in return will help you to identify some fo the things we are thinking about when recommending storage for your warehouse. Here are the four main elements that cover the true cost of warehouse storage: Handling, Storage, Operations Administration and General Admin Expenses. Storage – Storage expenses are costs associated with “goods at rest.” These costs would be incurred whether or not any product ever moved. Because storage expenses are related to the cost of occupying a facility, and these costs are normally accumulated each month, storage is expressed as a monthly cost. If an entire building is dedicated to an operation, storage expenses are the total occupancy cost for that facility. Operations administration – These expenses are incurred to support the operation of the distribution center. Closing the facility would eliminate these costs. Included are costs for line supervision, clerical effort, information technology, supplies, insurance, and taxes. General administration expenses – Expenses not incurred for a specific distribution center are included in this category. General management, non-operating staff, and general office expenses are examples. Allocation of such expenses to each warehouse is a judgment call. When you start to break all of these down into real costs you begin to understand that when these areas are not fundamentally thought about for your specific space and goods things can get very expensive, and fast. We’ve got a follow up article to come after this one that will explain more of the above in detail. But take our 30 years experience in the warehouse storage and racking industry in Melbourne that it pays to work with professionals. If you’ve got storage requirements contact us today on 03 9799 2291 or contact us via our website here.